Ever envied the owners of the P99 and other new-age pistols that sported ergonomic grips for more accurate and comfortable shooting? If you've read our article on how to grasp your pistol, then you will appreciate his slip-on pistol grip designed for guns that have not been blessed with the benefits of modern human-interface design. 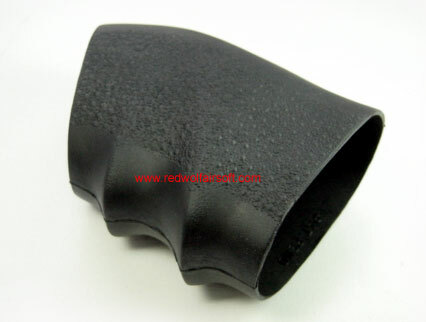 Constructed from flexible rubber, this grip provides a non-slip surface that makes shooting much more comfortable. Slip-on grips have been gaining popularity in world-wide police departments. Look the part with this slip-on grip. This grip sock is also great for keeping that laser pressure switch in place on your grip. The grip sock is also perfect as a retainer for laser and light pressure switches.